24 Aug 2018 --- Compounds in maple leaf extracts hold wrinkle-preventing properties, researchers at the University of Rhode Island have found. 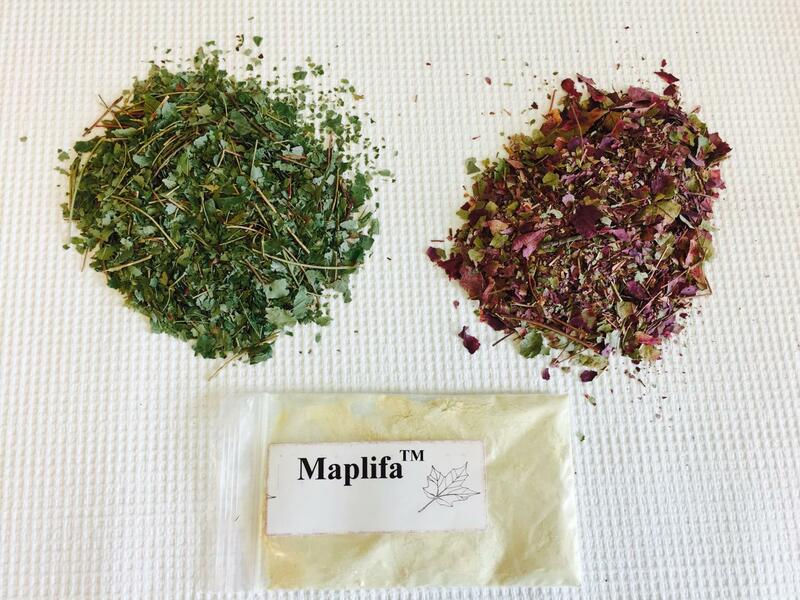 The research team have released a formulation, based on the extracts, named Maplifa, ideal for cosmetic applications or dietary supplements. Proteins such as elastin maintain skin elasticity and wrinkles form when the enzyme elastase breaks down elastin in the skin as part of the aging process. “We wanted to see whether leaf extracts from red maple trees could block the activity of elastase,” says Hang Ma, Ph.D., who is presenting the work at the 256th National Meeting & Exposition of the American Chemical Society (ACS). The researchers zeroed in on phenolic compounds in the leaves known as glucitol-core-containing gallotannins (GCGs) and examined each compound's ability to inhibit elastase activity in a test tube. The scientists also conducted computational studies to explore how the GCGs interact with elastase to block its activity, and how the molecules' structures affect that blocking ability. They found that GCGs containing multiple galloyl groups (a type of phenolic group) were more effective than those with a single galloyl group. But these compounds can do more than interfere with elastase. In prior work, Seeram's group showed that these same GCGs might be able to protect skin from inflammation and lighten dark spots, such as unwanted freckles or age spots. Potential future applications: Plant-based botox? The researchers have taken steps to get the extracts into products, having developed a proprietary patent-pending formulation containing GCGs from summer and fall maple leaves and maple sap, which they named Maplifa. They have licensed it to botanical extracts supplier Verdure Sciences based in Indiana and are hoping to eventually find a market for the formulation in the cosmetics sector or even in dietary supplements. If these products come to fruition, the team's findings could benefit the local economy, the researchers add. “Many botanical ingredients traditionally come from China, India and the Mediterranean, but the sugar maple and the red maple only grow in eastern North America,” Seeram says. Farmers in the region, who currently only harvest sap from the maple trees, could tap the leaves as a value-added product for an additional source of income. Even better, the process would be sustainable because leaves could be collected during normal pruning or when they fall from the trees in autumn. “Our research adds to the growing body of data supporting the diverse applications of maple ingredients including as a food (maple sap, syrup, and sugar) as well as in the functional food, nutraceutical and cosmetic industries,” Seeram tells NutritionInsight. Indeed, maple water is increasingly featuring in plant-based water NPD. Despite coconut water clearly leading the plant-based hydration category, 2017 saw 28 percent of the category launches from new plant-based waters, with maple water among the beverages within this category expansion, albeit from a small base.